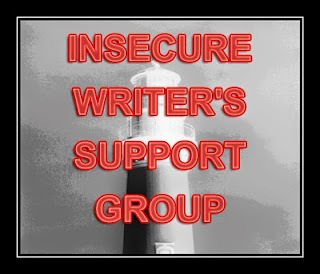 Margo Kelly: #IWSG: What is your favorite aspect of being a writer? #IWSG: What is your favorite aspect of being a writer? Normally, I would say that the process of creating and organizing a whole new world full of interesting characters and surprising plot twists is my favorite thing about being a writer. But today? I must say ... when when a fifteen-year-old girl told me that she stayed up all night long to read UNLOCKED (until 5am) and that she could not wait to read it again ... that is my favorite aspect of being a writer --- connecting with a reader. Connecting with a reader is awesome because it's not just that our book connected, but we feel like we connected as well. That must be an absolutely wonderful feeling! I can't wait to have a moment like this of my own. What a wonderful moment! Thanks so much for sharing! I had something similar happen once. You're so right; it was an awesome feeling. Margo, a fifteen-year-old girl stayed up all night long to read UNLOCKED? What more could you ask for? That is the best reward...EVER!